Found widely across Australia, the Goanna is a type of Monitor Lizard. In the northern part of Australia they are active all year around; they are great tree climbers and very strong swimmers. A Goanna has a flattened body, a tail ready to strike at enemies, stout limbs, long digits and sharp claws. Goannas have a long neck with loose skin under the throat which sags in some species causing it to look like the neck is bigger than the head. A Goanna has a snake-like tongue which flicks in and out. Goannas are primarily terrestrial in living habits and dig a system of burrows for their own protection, however if a burrow is not close by when a danger appears they will take flight to the nearest tree for safety. 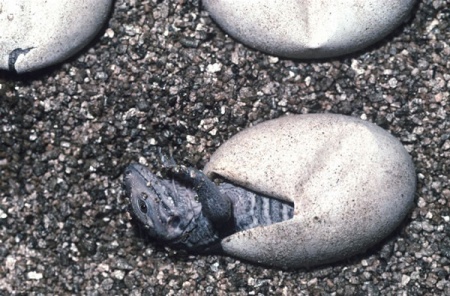 Goannas breed during the wettest season of the year, summertime, and lay between 4 and 10 eggs in a long burrow that the female makes specifically for the nest area. 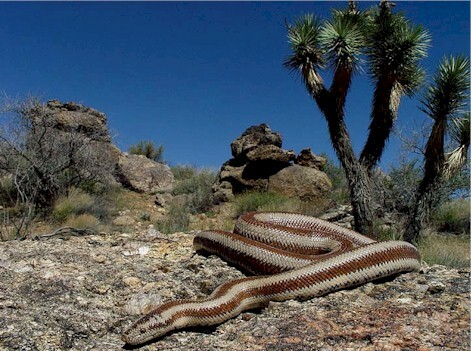 They are then buried and hidden by the female. They hatch in late summer after about 200 days. This is believed to be because the goanna egg winters over and then hatches in the spring. A goanna will forage for its food, including digging out lizards, insects, centipedes and even eat scorpions and turtle eggs which they dig out of the nest area. They will also once in a while eat carrion. Goannas are rapid runners and can easily outrun most of those things which prey on them. They can also run rapidly on their hind legs alone and will, when they are being defensive, stand erect.